Here are 7 key benefits of employing NodeJS for e-commerce development. This is without a doubt the best perk for those who have a tight-budget for eCommerce website development solutions. Any online retailer looking for a comprehensive makeup of an e-store can surely go ahead with building the website using NodeJS environment. It is absolutely free and open-source. You may employ from the JS library which is composed of all the crucial codes all of which are reusable for improving business functions. Its component-based solution aids in quicker development of exhaustive E-Commerce websites along with their upgrades. All these features of the platform significantly contribute to the reduction in the cost of development. Equipped with the V8 engine, NodeJS is able to optimize the load speed and improve it dramatically. This directly impacts the performance and enhances it, achieving optimum speed. Also, the need for working with multiple threads is eliminated as it enables a single thread to manage multiple asynchronous I/O operations. This is one of the best solutions out there for those who are seeking to build e-commerce website aimed at delivering at full speed! By carefully eliminating potentially lag-inducing events, NodeJS considers the requests and responses as a single event instead of two. This helps streamline the data and process it much faster than the other retro technologies which split the events and contribute to slowness in the processing of data. 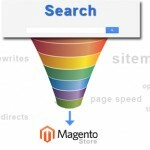 Now, the product search is much faster because the response action is already initiated as the search action is. This way, it is possible to avoid the delay which occurs while processing a request after a request is made. As mentioned earlier, NodeJS caters to several operating systems. It is extremely versatile when it comes to design as it is supported and compatible on all types of platforms including Unix, Mac OS, and Microsoft Windows. 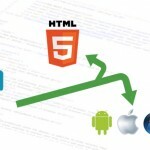 Developers can build so many modules efficiently as they can run on all of these platforms without any hassles. This truly magnifies the eCommerce development project and takes it to the next level. Complementary to the flexibility of the environment, there are several plugins that can be used to enhance the performance of the e-commerce website and render functions which can be extremely useful. You may freely access the open-source plugins on the GitHub platform. Besides reducing the complexity involved in the process of development, they also bring down the cost and time of development significantly. As the platform is open-source and incredibly powerful, several developers from around the world have come aboard to make it better and more robust. Often times, you may be faced with complicated issues with your e-commerce stores regarding its features, functions, and design. During such times, you may require professional assistance which can be gotten from the pool for enthusiastic developers who for the NodeJS Community. They are dedicated to improving the platform and helping you with all sorts of issues in order to make it a comfortable and lucrative platform for all. 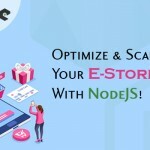 Offering you a number of benefits, NodeJS clearly stands as a brilliant eCommerce website development solution. It provides amazing performance and a ton of opportunities for users to build powerful e-stores which convert excellently. If you are looking for an expert Ecommerce Web Developer in New York, get in touch with Openwave! We deliver absolutely sterling services for top-grade solutions to provide you nothing short of the best! « What’s New in Store for Ionic 4 And How to Migrate?